Real Coffee offers 1 powerfull espresso and one exquisite Americano for Dolce Gusto® machines, all featuring our taste test-winning coffee. The extra powerful Espresso Intenso has a lingering aftertaste with notes of caramel and chocolate. If you prefer a milder cup, try to add a bit more water. Having won several taste tests, our espresso uses 100% Arabica beans of the finest quality. 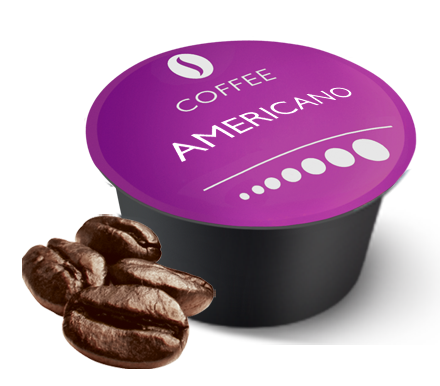 Our Americano pods offers a round, rich and creamy coffee flavour. With Real Coffee’s varieties of espresso for Dolce Gusto®, you have the opportunity to enjoy a delicious cup of Dolce Gusto® coffee at home. With each cup, brewed at a pressure of 15 bar, you will find a smooth crema, unique to espresso coffee. Taste, aroma and crema all depend on how the coffee beans are roasted. 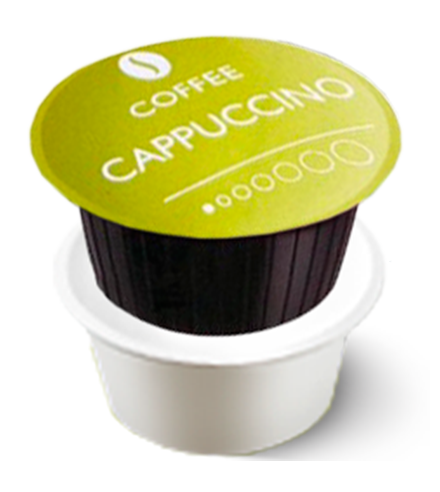 Our Dolce Gusto® Espresso and Espresso Intenso pods are made from the finest dark-cherry Arabica beans. If you enjoy a coffee with an intense aroma and bold strength, try our Espresso Intenso. 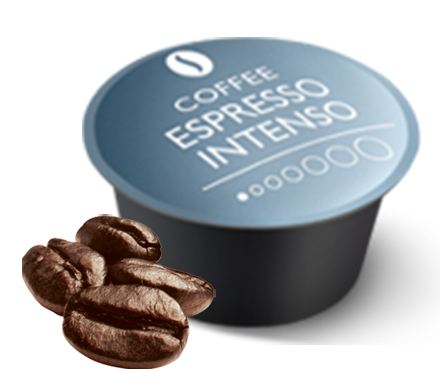 With a fragrant aroma, Espresso Intenso has a rich flavour, with notes of caramel and chocolate. If you prefer a lighter coffee, with great balance between flavour and crema, we recommend you to try our Espresso for Dolce Gusto. They can both be enjoyed black, or with a dash of milk for a slightly milder experience. Would You Prefer a Lungo or an Americano? 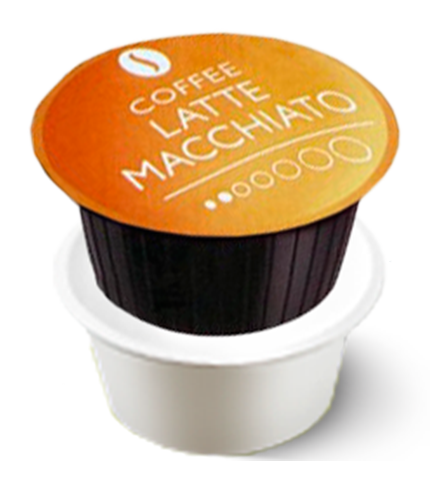 Our lungo pods are made from Arabica beans, characterized by their round, rich and creamy flavour. A good Americano is best brewed from 100% Arabica beans, which means you can also enjoy our lungo as an Americano. However, it will be a little milder in taste than a normal Americano. Our Espresso and Lungo capsules are full of rich flavour and are perfect for every occasion. Whether it’s for your morning coffee or a pick-me-up at work, we recommend you to give them all a try!